New Zealand’s New Elected Government Labor, NZ First & Greens coalition are likely to introduce capital gain Tax. How would it affect the NZ housing market? Since the election, the question on the lips of most New Zealanders in the property sector is ‘if the idea of a capital gains task (CGT) can be implemented in New Zealand. If it happens, would it affect the property market? Can NZ Capital Gains Tax slow the housing market down? What is a Capital Gains Task? 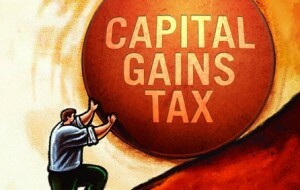 A capital gains tax is what an investor pays when he/she sells a capital asset such as shares, or real estate. Your capital tax is the profit you make on the asset (the difference between what it cost you to acquire an asset and what you get when you sell it). If the policy is implemented in New Zealand, all citizens would have to report capital gains and losses in their income tax return and pay tax on their capital gains. The Labor government of Bob Hawke and Paul Keating introduced the capital gains task in September 1985, and the median Sydney house, which was priced A $92,000 became A $ 1.1million in 2016. In other words, capital gains tax has been in existence in Australia since over 30 years ago, and it has resulted in a high cost of housing which seems to be getting out of control. However, this does not mean that capital gains tax cannot be used to regulate housing cost. It depends on how the government introduces and designs the policy. New Zealanders can learn some lesson from Australia regarding CGT as the election is now over and it is likely that New Zealand’s New Elected Government Labor, NZ First & Greens coalition is likely to introduce capital gain Tax. Why has capital gains tax not helped control house price growth in Australia? The following are reasons why it has not done so. The main reason is that Australia CGT was never designed to regulate house price. It was implemented to raise revenue for the Government and to make citizens who have investable assets paid tax on their profits from those properties. The tax was also applied to other investments (houses, bonds, shares, or any property) to increase the revenue for the government. So there was no diversion away from the property. The negative aspect of the tax is that some people might be discouraged to invest in assets and they may prefer to use their money in other ways. A capital gains tax that is applicable only to housing would have discouraged investors from putting all their money in the real estate market. In the beginning, the Australian CGT was not making the prices of houses increase. However, everything changed in September in 1999, when there was a review of the policy in September 1999 by John Howard. The situation in Australia seems to be a contrast to other countries where the earning of income rental income is the most important factor to consider when investing in a rental property. Investors market properties on the assumption that they do not make positive taxable income for a significant period. The cause-effect of this is that investors are ready to pay unreasonable prices for houses. They do not consider the weekly rental income, even if it is too low to justify the cost of the house. They just buy the house with the expectation that the amount will keep increasing, and hoping they will get generous tax concessions, and when it comes time to resell the property, they will not have to pay a high tax on their gains. The Australian case study does not prove that a capital tax gains cannot help control house price. However, the lesson learned is that the government should have an objective that they want the tax to achieve and design it that way. Is Capital Gains Tax implementable in New Zealand? New Zealand is one of the few among the developed countries in which citizens do not pay capital gains tax on a person’s primary house. Although Labor has not yet implemented the policy seems attractive to the party’s voter base. The objective is not just to ward off property investment, but to regulate the market. In this instance, there would be a significant decrease of quality houses for sale because only those who needed to sell, would put their homes on sale. Primary place of resident like the family home are likely to be exempt from NZ Capital Gains Tax. What New Zealand Capital Gains TAX Will Do? In NZ Housing Market, it will help the government to increase its interest in asset prices rising. For instance, tax takes dependent on capital gains tax, constrained sales activity, and flat asset prices will result in less revenue for the government. Moreover, it will have some lock-in effect. For example, if you own a property worth $530k, which over time becomes $620k. Now you discover that you can use the capital in another way that will be beneficial to your need. However, when you sell, you would have less money to meet your needs after paying tax. In other words, to move your capital from one asset to another will mean that you pay some money to the government coffers. This way, the government has more funds to spend on pet projects while the housing market will be slow since most people would be reluctant to sell. Things A New Zealand Capital Gains Tax Will Not Do. A NZ capital gains tax will not reduce house prices. Countries like Ireland, Australia, UK, with a capital gains tax have witnessed a considerable house price growth. Asset price is usually controlled by money supply.